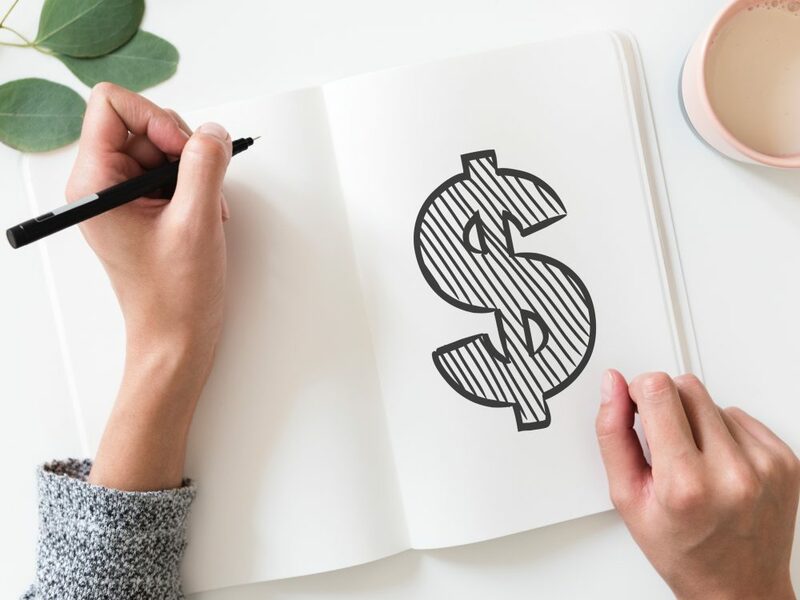 Building a website in 2019 is very affordable, especially when comparing with the cost of starting a bricks and mortar business. Whether it’s to promote a business, build a portfolio, or to start a personal blog, it’s become an essential component of branding in the 21st century. WordPress has been around for years and remains one of the most popular content management & blogging platforms in the world. According to data from web technology survey firm W3Techs, WordPress powers over 30% of the Internet! It’s perfect for beginners with limited knowledge of web design & development. It’s extremely user-friendly, flexible and customizable with thousands of themes & plugins. The WordPress software itself is free, but there’s a few additional components you need in order to get it running. Domain name – This is the address where you website will reside. Example: www.yourwebsite.com. Web Hosting Plan – Websites are hosted on servers, where the files of your website will reside. Free or Premium WordPress Theme – This will be the face (or design) of your website. To give you the quick and short answer; starting a WordPress site in 2019 will cost you between US$33 to US$132 for the first year. But it depends on which hosting plan, domain name and WordPress theme you decide to use. So in this article we cover each of the components and break down the costs associated with each. There’s tons of affordable hosting services, but I suggest you check to see which features are included with each plan. Take note of the cost breakdowns, the services they come with, and reviews. If you’re only looking to host a single website, most basic hosting plans will be enough. Bluehost – Starting at $3.95 a month for their basic package, it includes a free domain, 1-click WordPress installation, 5 email accounts, and 50GB of website storage. HostGator – Starting at $2.75 a month for their basic package, it includes a free domain, 1-click WordPress installation, and unlimited website storage. SiteGround – Starting at $3.95 a month for their basic package, it includes a free email account and 10GB of website storage. A2 Hosting – Starting at $5.21 a month for their basic package, it includes free site transfers and unlimited website storage. All the options mentioned above include a free SSL certificate and extremely reliable up-time guarantees. If any issues occur, they offer 24/7 customer service support. When choosing a hosting plan, it’s important to consider exactly what you’re looking for. Some offer free domain names, while others have unlimited website storage. The prices listed are often just for the first year and increase the following year, which is why I highly recommend purchasing a hosting package for the longest duration to lock in the best pricing! 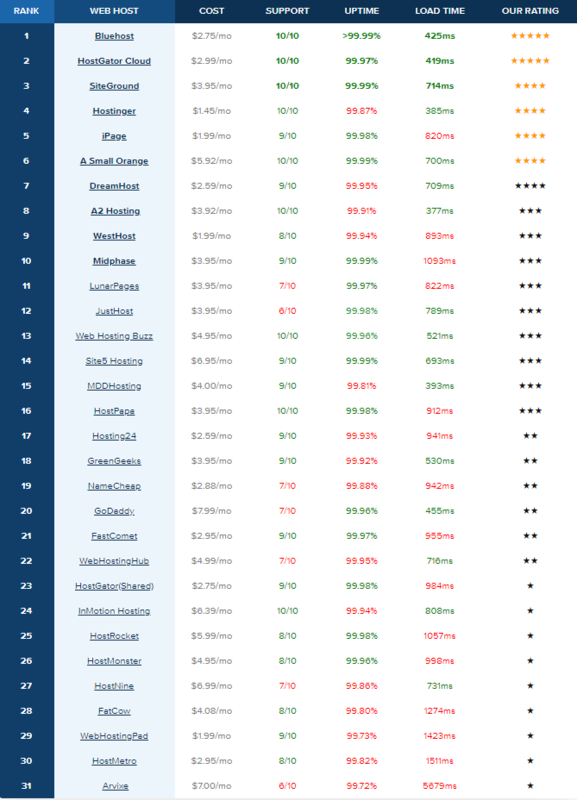 HostingFacts.com reviewed 31 web hosting companies and assigned a 0 to 10 rating based on various factors: services, hidden fees, payment methods, terms of agreement, customer support, total activation time & site performance. Most hosting companies will include a free domain name if you purchase a 1 year hosting plan. If not, you can always purchase a domain name from a registrar. GoDaddy – A domain starts from as low as $0.99. Google Domains – A domain starts from $12 a year. Namecheap – A domain starts as low as $0.88. While you may be inclined to go for the cheapest domain, always check to see how much it will cost the following years. These companies often offer a very low price for the first year to entice customers. A theme is a collection of templates and stylesheets used to define the appearance and display of a WordPress powered website. WordPress has a directory with thousands of free themes to choose from, which is perfect for anyone with a smaller budget. Many of these themes can be customized and modified to your specific use. Themes can be changed, managed, and added from the WordPress admin area under Appearance » Themes. If you’re looking for a more professional, refined design for your WordPress site, then I suggest purchasing a premium WordPress theme. They can cost anywhere from $30 to upwards of $100. It all depends on the pricing set by the developer and the services or features bundled with the theme. ThemeForest – A very popular marketplace with ~11,000 WordPress themes, most cost between $20-70. If you do a bit of digging, you can find deals for $13! 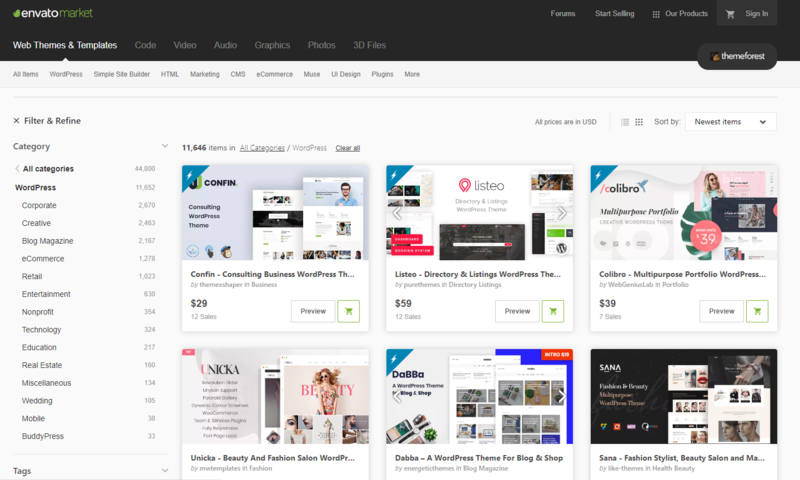 Mojo Marketplace – Another great platform to browse for thousands of beautifully designed themes, most cost between $40-60. Template Monster – With ~2131 WordPress themes, you’re always bound to find something! Most of their themes cost around $75. If you purchase the cheapest hosting plan that includes a free domain name, and utilize a free WordPress theme, then your only costs will be $2.75/month hosting fee (if you go with BlueHost), or $33 for the first year. This is extremely affordable and perfect for anyone who’s just looking to get started on a small budget. If you decide to go with a Premium WordPress theme and a more professional and refined design, your cost for the first year will be vary between $70-132. Regardless of what you decide to do, hosting and building a WordPress website in 2019 is extremely affordable and there’s something for every budget level.